Lewterslounge: Burning Blade: a MMORPG Trail-blazer for the Android or a Flop Waiting to Happen? 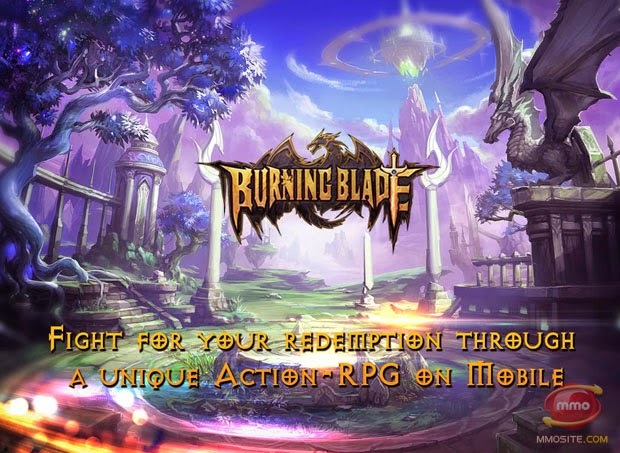 Burning Blade: a MMORPG Trail-blazer for the Android or a Flop Waiting to Happen? Android-based mobile devices have been coming of age as serious gaming-platforms lately, and indeed, ever more intricate/engaging/entertaining games are developed for them. One of the latest (and most ambitious) additions in this respect is Burning Blade, an “all bells and whistles” MMORPG, set for release in the Google Play shop in the US, Europe and Australia this August.The 3D hand-and-slash is advertised as one powered by the Unity 3D engine, which essentially makes it a full-fledged MMORPG, complete with lively and vibrant environments, colorful characters which can be customized continuously, spectacular special effects, a huge number of quests and rabid boss-fights. All this is enveloped in a story based on Greek mythology, which – at least at first glance –seems rather intricate if uninteresting and quite un-original. The game is apparently about Greek gods fighting the Titans with humanity caught in the crossfire. It obviously befalls to the player to lower the boom on both categories of immortals to forward the cause of man and to eventually bring it to triumph. As un-original as the story is, the few screenshots currently available from the game are testimony to yet more copy-pasting. If the fonts used for the various in-game and advertising messages seem familiar, it’s because they’re the good-old Diablo fonts used and re-used by every wannabe low-budget RPG since the initial success of the Blizzard game. Some of the textures used in the actual graphics seem rather familiarly un-original as well. There are 4 character classes that players can join on their quest to raise humanity above the warring gods, and these are: Warlock, Berserker, Assassin and Archer. Needless to say, the originality of these classes is at least a little questionable as well. In addition to the storyline-driven hack-and-slash, players will be able to go up against other players too in special, 3v3 PvP arenas. Philip Thalberg works for Gosugamers, the top destination for Hearthstone tournaments and general eSports mayhem.